Dr. Ronan Collins CPsychol. 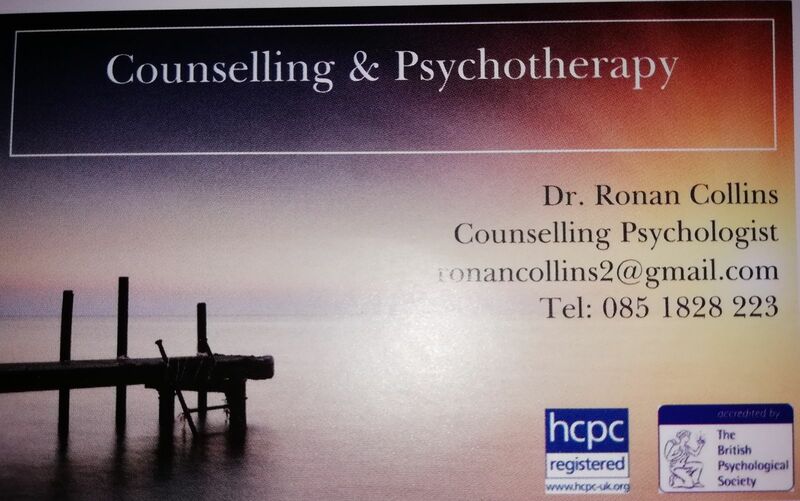 Chartered counselling psychologist. Provides various therapeutic interventions including CBT, person-centred and interpersonal psychotherapy for a range of issues such as anxiety, low mood, panic attacks and traumatic childhood experiences. Available for bookings in The Bridge Street Centre.